Former Defence Secretary Gotabaya Rajapaksa, and Namal and Yoshitha, the sons of former President Mahinda Rajapaksa continued to be grilled by the Presidential Commission and the Financial Crimes Investigations Division (FCID) during the week, over their alleged misuse of power, and money laundering. Gotabaya was summoned to the Presidential Commission of Inquiry to Investigate and Inquire into Serious Acts of Fraud, Corruption and Abuse of Power, State Resources and Privileges (PRECIFAC) on Monday where a statement was recorded over his alleged misuse of aircrafts and helicopters belonging to the Sri Lanka Air Force, while functioning as the defence secretary. On Tuesday, Namal was summoned to the Presidential Commission where a statement was recorded from him also over the misuse of helicopters and aircrafts. Speaking to the media, Namal said that the Commission was making an inquiry based on an anonymous complained they had received. “They wanted to know from where we found the finance to pay for the aircrafts and helicopters that we used mainly during the election period. They are not asking where we went, but they want to know why we paid and from where we got the money,” he said. Namal added that it was strange that the Commission was interrogating them for paying bills. 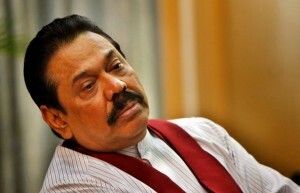 “The Yahapalanaya is such that even if you don’t pay bills you will fall in trouble, and even if you pay the bills you will fall in trouble,” he added. Meanwhile, Yoshitha, the second son of President Mahinda Rajapaksa who was remanded for alleged money laundering at the Carlton Sports Network (CSN) was summoned to the FCID on Tuesday with regard to the ongoing investigations against him. Yoshitha has once again been summoned to the FCID on Wednesday for further interrogations. He is currently out on bail. In April last year, Finance Minister Ravi Karunanayake said that due to the misuse of Air Force aircrafts and helicopters by the Rajapaksas and their Ministers, a huge loss had been incurred amounting to millions of rupees. It was reported that Rajapaksa loyalist, Wimal Weerawansa alone had used SLAF aircrafts some seven times for election campaigning, but had not paid the bills.